On our property there are a total of 5 bungalows, each of which can accommodate 4 people. All accommodations have radio, satellite TV, covered terrace and outdoor seating. Each unit is provided with bed linen (for a fee), towels, dishes, toaster and coffee machine. It is possible to park one vehicle per bungalow on the property. Boats can also be rented for a small fee. The property is also suitable for families with children due to its quiet location. On request, we also provide a baby cot. Urlaubern einen schönen Urlaub zu bieten. Durch die unterschiedlichen Anreisezeiten der Urlauber war Herr Acker mehrmals auf dem Grundstück. Der Kontakt war sehr gut. Absolute Kleinigkeiten sind im Bungalow noch zu verbessern. Wir haben uns sehr wohl gefühlt. Die Hitze hat man bis Mittag durch den Wald gar nicht gespürt. Besondere Freude machte uns die ständige Benutzung eines Ruderbootes. To Lychen belongs also Retzow with its district Kastaven. 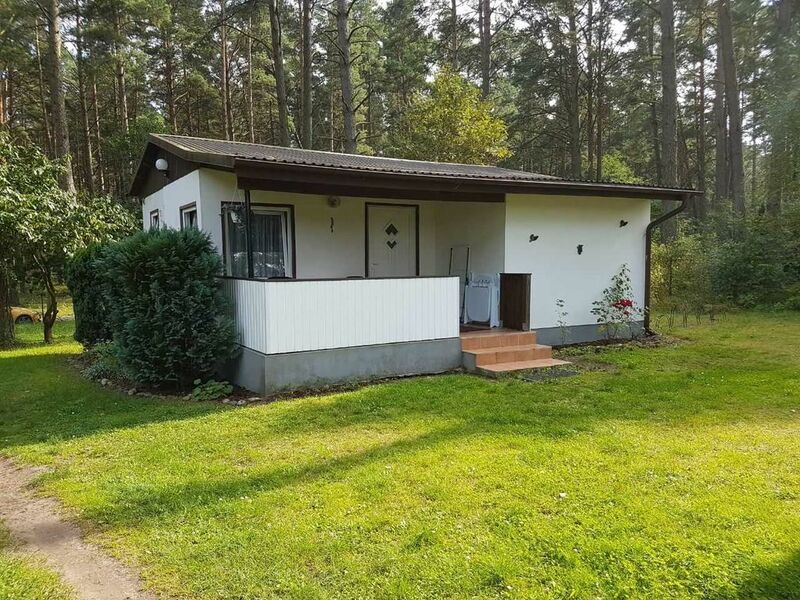 Here is located in a quiet location our forest property right on the Kastavensee, where already before the turn many holidaymakers in the bungalows of the farms holiday, the seats were always in great demand. The large public swimming area is about 300 m, another swimming is almost at the door. The center of Lychen is about 6 km away. Leisure activities and shopping are thus within a few minutes by car.